The online admit cards will be available for download 15 days prior to the exam date. 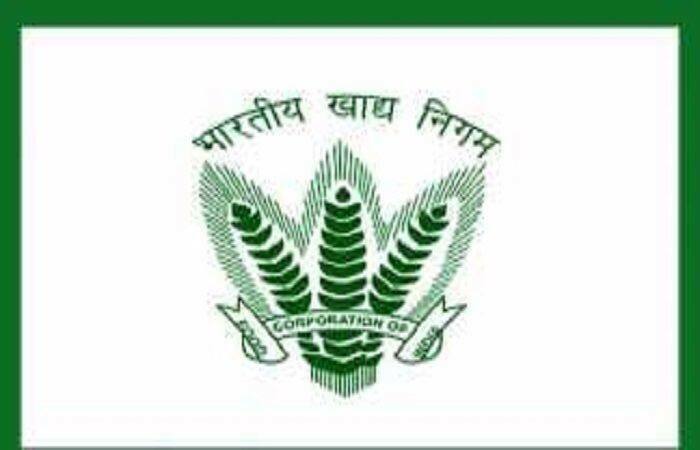 Interested candidates can apply for the FCI posts starting from February 23, 2019, to March 25, 2019. In total, there are 4103 vacancies and candidates will be recruited to fill the vacancies in offices spread all over the country. Candidates who are eligible and interested are requested to visit the official website, i.e, fci.gov.in. The online admit cards will be available for download 15 days prior to the exam date. 1) Junior Engineer (Civil Engineering) – Degree in Civil Engineering or Diploma in Civil Engineering with one year experience. 2) Junior Engineer (Electrical Mechanical Engineering) – Degree in Electrical Engineering Or Mechanical Engineering or Diploma in Electrical Engineering Or Mechanical Engineering with one year experience in case the candidate is only a Diploma holder. 3) Steno Grade-II – Graduate along with O‘ level qualification of DOEACC and speed of 40 w.p.m. and 80 w.p.m. in typing and shorthand respectively or Degree in Computer Science/ Computer Application with speed of 40 w.p.m. and 80 w.p.m. in typing and shorthand respectively. 4) Assistant Grade-II (Hindi) – A degree from recognized University with Hindi as the main subject and proficiency in English is preferred. In addition, the candidate must have one year of experience in translation from English to Hindi and vice-versa. 5) Typist (Hindi) – A degree from recognized University or equivalent certificate. In addition, 30 W.P.M speed in Hindi Typing is preferred. 8) Assistant Grade III (Technical) – B.Sc. in Agriculture from a recognized University. Or B. Sc. with any of the following subjects from a recognized University: Botany / Zoology / Bio-Technology / Bio-Chemistry / Microbiology / Food Science. Or B. Tech / BE in Food Science / Food Science and Technology / Agricultural Engineering / Bio-Technology from a recognized University / an institution approved by AICTE. Eligible candidates will be selected based on their performance in online examination followed by Skill test and document verification.